If you’re like most people, you probably spend a great deal of time in your kitchen. In a wide variety of cultures, the kitchen is a place to come together, enjoy good food and great company. A disorganized kitchen can affect the atmosphere fairly quickly. If it’s hard to reach dishes and spices while everything else is shoved in random places, it can get frustrating for everyone. 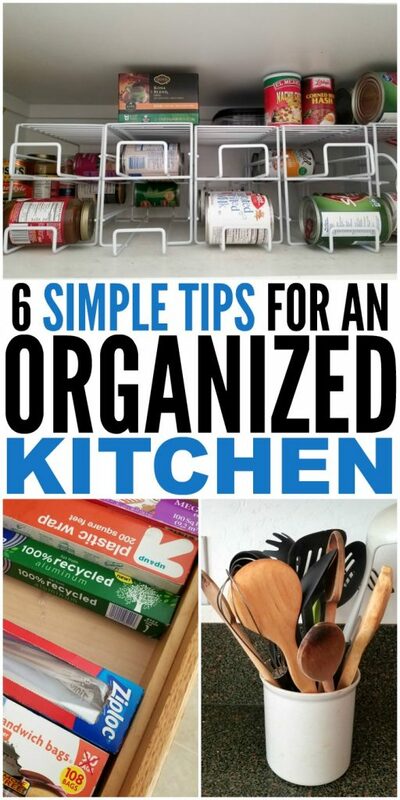 Have an organized kitchen with these 6 simple steps. Want to spend more time in the kitchen, but need some advice on how to better organize things? 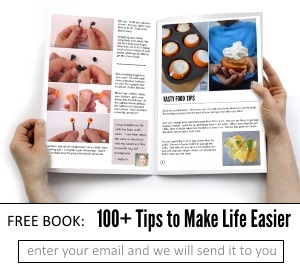 Read on and get some great inspiration!Store According to Use: The first step and most important one is to store things according to how often they’re used. Plates, bowls, and cups should be placed in an easy-to-reach spot. If you have small children, probably not best to store low, but within arms reach of where you will be making up and serving your food. Good china and other odds and ends you don’t use very often should go up higher, and traditionally pots and pans go lower. Drawers are very underrated areas in your kitchen. Other than utensils, most people do not use their kitchen drawers effectively. Things like tin foil, parchment paper, zip lock and other cooking aids should be tucked away and hidden in your drawers. Makes for easier access while cooking and keeps it from being an unsightly mess! With so many decorative ways to display your cooking utensils, make use of them and keep your cooking utensils out and handy. Nothing says disorganized more so than being unable to find a spatula or ladle when you need one. You can use stylish vases or buy a cool, funky utensil holder to go with your decor and keep your stuff handy. Okay, so who has never fought with all the lids and containers?! If you are familiar with the struggle of trying to find lids, bowls falling all over the place and just flat out irritation that something so useful could be such a burden, you are not alone. If you want to take your kitchen back from this nightmare, use a filing system when organizing your Tupperware. Dividers for drawers, baking sheet racks turned on their side or even some of the preformed Tupperware holders. Whatever works best for your kitchen layout, use it and get rid of the biggest headache! If you’ve ever been on the hunt for the right drawer organizer for your kitchen, you may have experienced that there really aren’t that many options. A great suggestion is to customize your drawers using makeup organizers. You can find separates that you can add to your drawers to get the perfect layout for you and your needs. 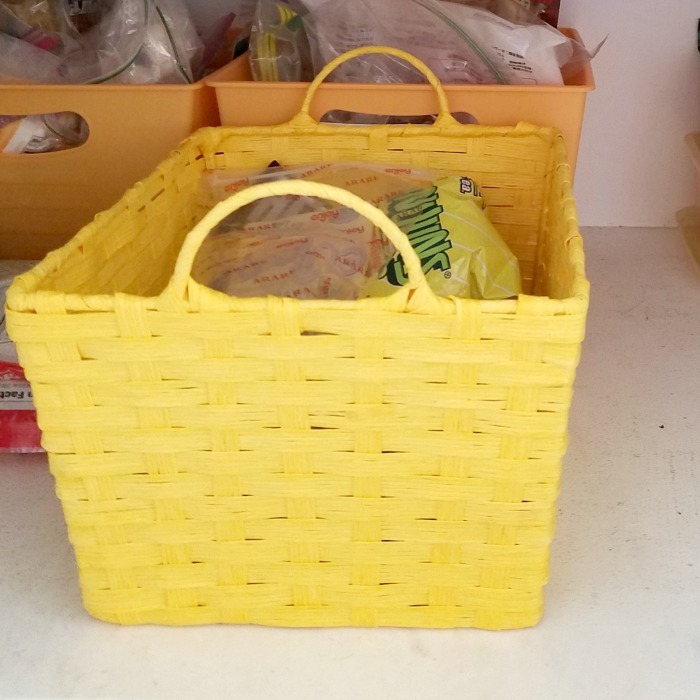 The gurus all know that the best trick for organizing your kitchen, especially the pantry or anywhere food or spices are kept is to use baskets! This not only helps the clutter issue, but you can group things together and simply pull that basket out when you need to find something, instead of pushing and shoving items around and creating a mess every time you need something. Label your baskets for even more efficient storage! 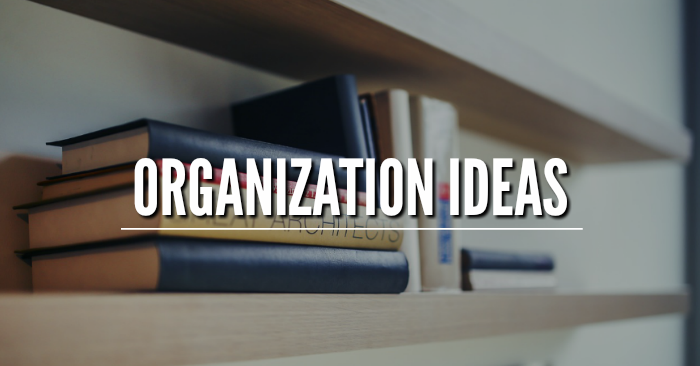 When it comes to organizing your home in any way, never be afraid to think outside the box. Search other departments in the store to find what fits you and your kitchen the best. Now, take these awesome tips on how to organize your kitchen cabinets, go forth and conquer your kitchen! 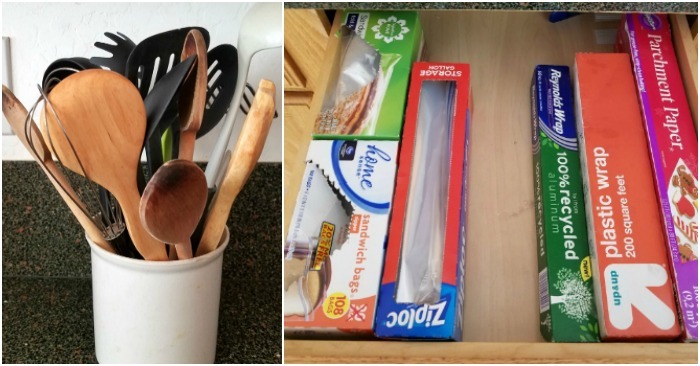 Kitchen Organization Products You’ll Love! These racks make storing canned goods so much easier. You maximize the vertical space that would normally go to waste. Combine that with the baskets or plastic bins and you’ve made the most of the available space in your pantry. This rack is perfect for storing baking sheets and cutting boards. Just another way to make the most of your cabinet space. 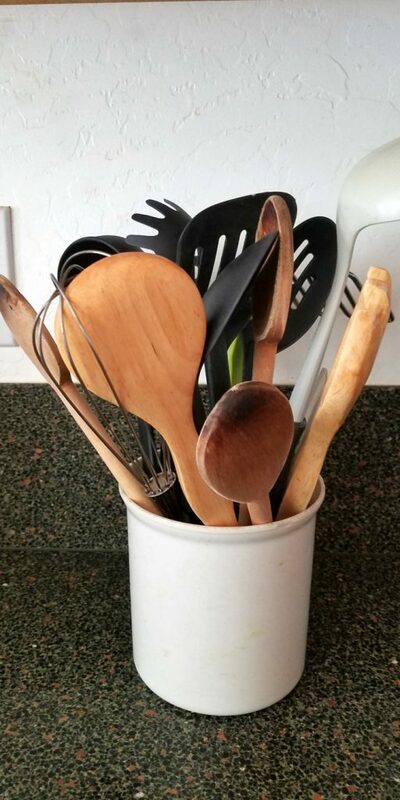 When storing your pots and pans, use a similar rack specifically for lids. You can then stack your cookware, but I suggest putting a paper towel in between each pot or pan to avoid scratches. I’m sure you’re getting the idea now that vertical space can be very useful. This 6-Piece storage organization set will add a whole new layer of space! What tricks or tips do you use in your kitchen? Don’t keep it to yourself! Share in the comments! If you’re looking for more organization tips, check out The Ultimate Guide to Home Organization.